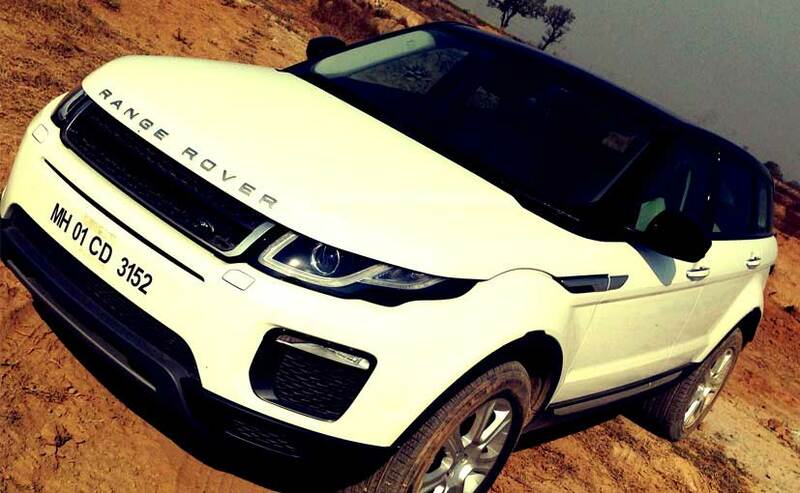 True to its name, the Range Rover Evoque evokes a smile every time you look at it. Even before its launch in November, Jaguar Land Rover (JLR) claimed that it had received 125 pre-bookings for the facelifted model. It's unique design and not-so-intimidating presence explains why this Range Rover SUV has a strong following in the Indian market. The facelifted model has gone under the knife and has come out looking more striking than before. The most noticeable changes are the new LED headlamps and DRLs, which are sharper than before. There are halogens on the base Pure variant and xenons with LEDs on the higher trims. The top-spec Dynamic variant comes with a honeycomb grille that's quite attractive but the base models only get the old 2-bar grille. 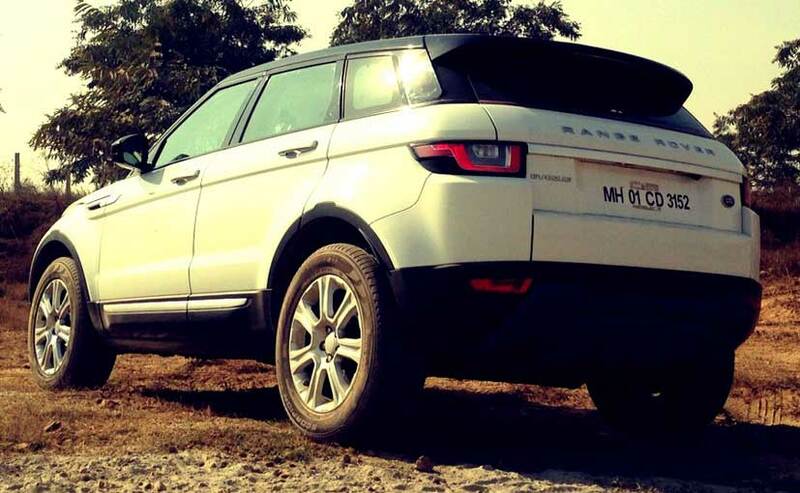 The Range Rover Evoque's air intakes look larger and the slim LED fog-lamps move to the upper portion of the lower bumper. Adding to the presence are the new 18-inch alloys with 7 spokes on the top-end Evoque and the base model gets 17-inch tyres with 10 spokes. The rear too is quite sporty with a new tailgate spoiler and a slimmer-looking LED brake-lamps. The insides of the new Range Rover Evoque are quite plush in the top-end Dynamic variant with premium leather material used on the dashboard and the steering wheel. This version also gets a 8-inch colour touchscreen display and a 17-speaker Meridian surround system. The Evoque comes in a single engine option - the 2.2-litre diesel motor churning out a healthy 188bhp and 420Nm, mated to a 9-speed ZF automatic gearbox. 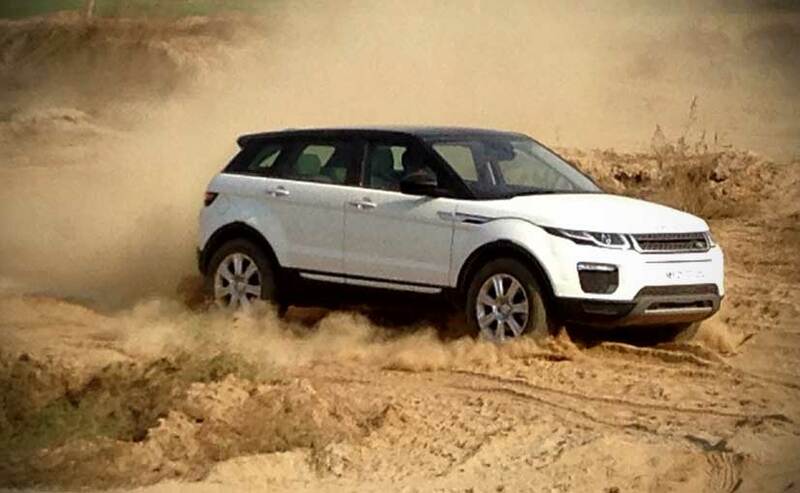 The engine on the Evoque feels quite refined and powerful, the SUV is quite agile with extremely smooth acceleration. The 9-speed gearbox is quite a delight, ensuring the smooth and quick shifts. The only complaint I have is how heavy the steering feels - clearly not ideal in city traffic. The Evoque's suspension feels a bit stiff but doesn't mind the odd pothole. The SUV does feel quite solid out on the highway and corners quite well. The facelifted model comes in four trim levels - Pure, SE, HSE and HSE Dynamic - with prices ranging from ₹ 47.1 lakh to ₹ 63.2 lakh (ex-showroom, Delhi). But the good news is that Jaguar Land Rover has localised production and so the new Evoque, along with its added features, isn't too much of a premium price-wise. Is the Range Rover Evoque Convertible next in line to impress us?